These changes have been brought about by the rising need for ubiquitous mobile communications, often at broadband speeds. The smartphone, and other mobile devices, have completely transformed the way and “the where” in which we communicate, work and entertain ourselves. Where GEO satellites were previously the staple for global-reach communications, the global need for data and broadband connectivity is giving rise to the development of High Throughput Satellites (HTS) and also constellations of much smaller satellites in Low Earth Orbit (LEO) and Medium Earth Orbit (MEO); these are all dramatically reducing latency and cost. 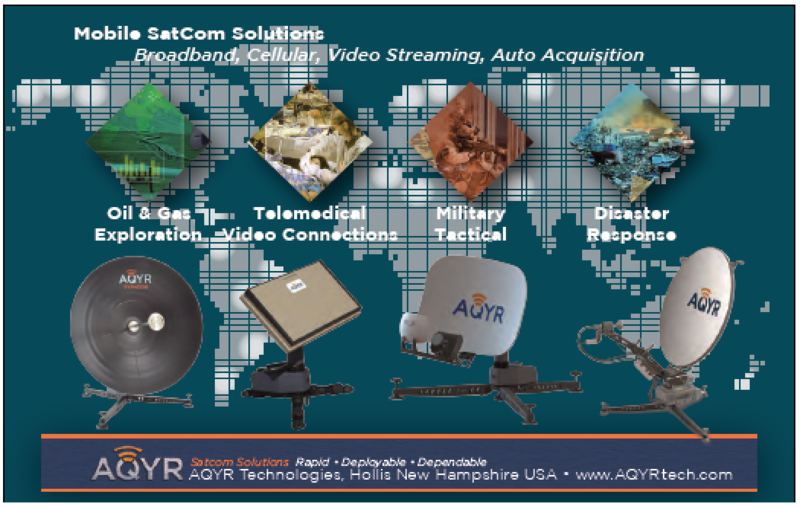 This is new territory for the SATCOM sector and is pushing the development of next generation access technology and antennas ever faster in order to deliver these new capabilities. 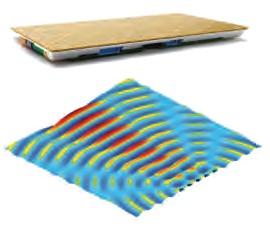 Washington DC and London-based Phasor is a developer of commercial phased array antenna systems, designed to meet the growing wideband mobile broadband market requirements. The company has been working on this system for more than five years and the company is preparing to introduce this technology to the market in the very near future. The development of the Phasor electronically steered antenna (ESA) has been a study in making the complex simple, and targeting a specific user community — commercial and enterprise mobile broadband market requirements. The team has been tightly focused on the main challenges of enterprise-grade, end-to-end system performance; bringing together a wide range of technical and design disciplines. Phasor has taken the traditional, parabolic SATCOM antenna and transformed that antenna into a flat, solid-state, electronically steerable antenna (ESA) system that stands just two inches high in comparison to its bulky predecessors. The ESA can be completely flat or conformal to a vehicle due to the unit’s modular design, including installation on an aircraft fuselage, a cruise ship or a high-speed train, providing enterprise grade mobile connectivity to passengers and crews alike. 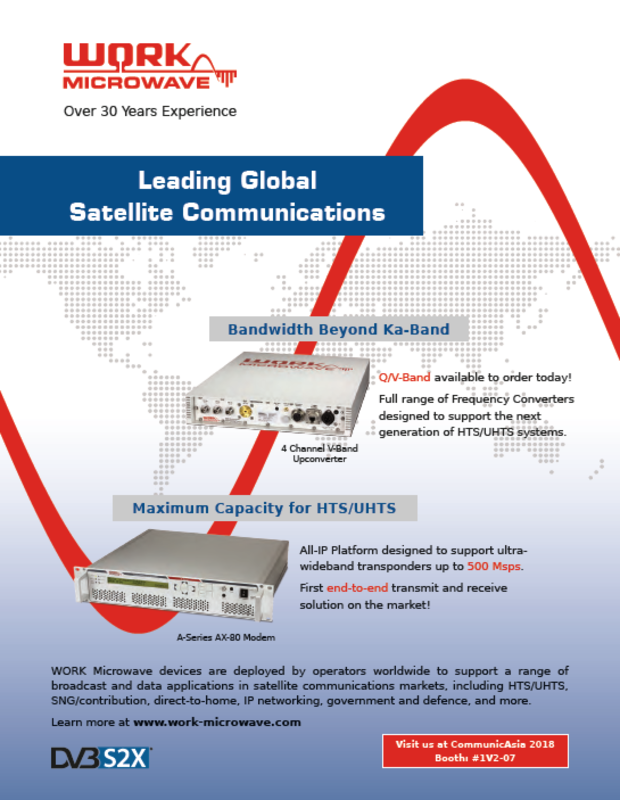 This same technology is well suited to support three different satellite constellation architectures — traditional Geosynchronous Fixed Satellite networks (FSS), High Throughput Satellites (HTS), and Non-Geosynchronous satellite networks, (NGSOs). Moreover, the antenna’s modular architecture allows the system to be scaled to virtually any use-case requirement, fixed or mobile. This is the ultimate design for flexibility, yet the ESA also delivers consistently high data rates that support the demanding, bandwidth-hungry applications that are so important to users today. Phasor’s system allows users to communicate with satellites anywhere in the sky while on the move using a low profile, solid-state, electronically steered antenna. Phased arrays are active antennas comprised of an interconnected series of very small patch antennas, combined in such a way to extract a specific satellite signal from a noisy background. By controlling in sympathy the signal delay (or phase) and power levels of each of these tiny antennas, the combined signal can be steered in any direction. Phasor’s system is unique — proprietary microchips (or ASICs) control each of these tiny patch antennas — this unique system architecture can combine signals more efficiently and effectively to maximize gain. A dynamic, software-controlled antenna is created that can quickly and robustly track any satellite through a closed-loop feedback algorithm. 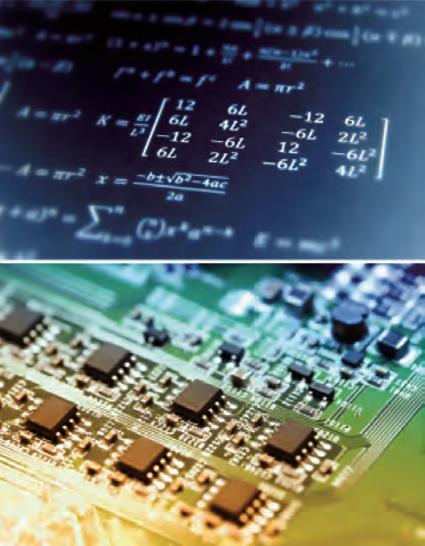 Phasor’s antennas are comprised of a number of standard PCB assemblies. That means that Phasor is able to leverage the industry standard PCB fabrication and assembly lines that are used for mobile phones, IT or cellular base-station equipment, for example. Therefore, production can be ramped-up quite easily to scale (through manufacturing partners), which enables production of the antennas in a matter of weeks. How Does The Antenna Track Two Satellites Simultaneously? Phasor’s architecture allows for two independent “circuits” that use the same RF aperture area (through the same dual-channel ASICs). The control systems are then able to independently steer these two beams in different directions. These beams are fully independent in frequency, polarization and pointing angle and can be fed to the same, or separate, modems. 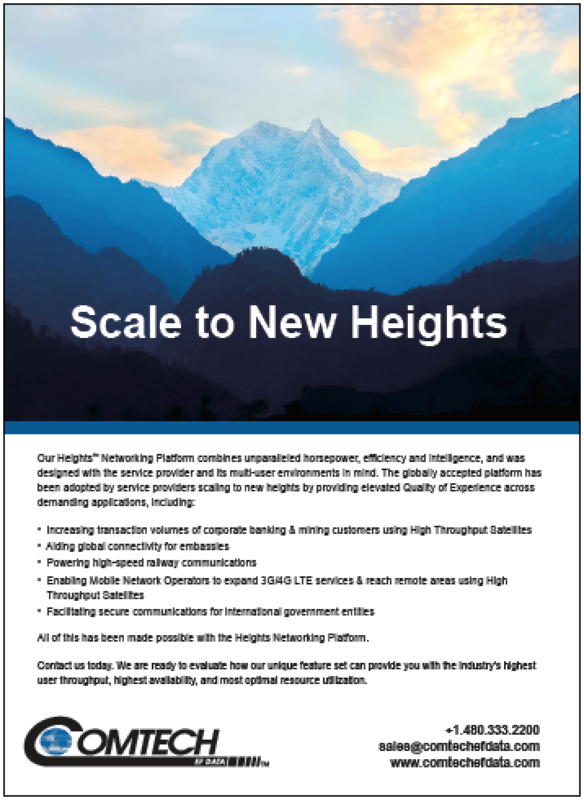 This flexibility allows for a entire host of unique benefits; be it interoperability with GEO/MEO/LEO or make-before-break on HTS or LEO constellations. How Does The System Deliver Consistently High Data Rates? The final, delivered data-rates are determined by a number of factors and the antenna is in control of an important, but finite, number of these elements. Phasor is highly efficient in processing and combining satellite RF signals, which delivers high fidelity in pointing and tracking accuracy as well as high gain (throughput) capability. Beyond the ESA electronics, a fundamental driver of data-rate is the effective size of the antenna aperture — it is pure physics that a larger antenna area can deliver proportionally more data. Phasor’s scalable modular technology allows it to create a range of different sizes, and uniquely, many modules can be tiled together to create some of the largest flat panel antennas in the industry. The other important role of the antenna is to robustly track the satellite no matter where, or how fast, the mounted vehicle (or the satellite itself) moves. This consistent tracking results in a reliable data connection. Phasor is able to accomplish feat nearly instantaneously due to closed-loop feedback and fully electronic steering (therefore, no inertia). The antenna does not have to rely on GPS or inertial based sensors or any form of conical scanning/feedback from the Rx signal levels that can be very slow and introduce loss. Is There A Ka-Band Iteration Of The System? Phasor is currently focused on delivering products that operate in the Ku-band. However, there are growing demands for a Ka-band solution from Phasor. The good news is that a vast majority of the system is identical between a Ku- or Ka- solution. Due to Phasor’s baseband architecture, the translation to a Ka-band solution can be carried out with minimal risk... effectively a new ASIC tuned to the Ka-band frequency. Phasor is working with a number of partners to kick-start Ka-band development toward the second half of this year and the firm is slated to offer its first Ka- products in approximately 24 months. Currently, Phasor is working on land mobile and maritime data tests — these tests are expected to last several months with the company’s first release products. 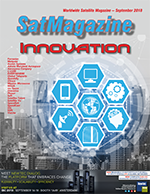 There has been a significant shift in focus from the satellite, or “space-segment,” to the ground segment, as there has been a realization that this is what will enable next generation satellite connectivity. ESAs, such as Phasor’s, will be the crucial mode of access technology for future communications and the entire satellite communications and broadband mobility industry is dedicating more time to ground infrastructure, discovering how it will enable next generation satellite networks to work as efficiently as possible. Phasor has been creative with its design and development of an incredibly compact, low profile, automatic-acquire and tracking ESA , focused on enterprise and commercial markets, where the requirement for “mission critical comms,” for very high gain, very high-quality networks is prevalent. Phasor will carefully complete the test phase and looks forward to the first product release that will enable cruise ships, yachts, buses, airlines government programs, and many more big users of data, to access the bandwidth they require in this new era of connectivity. Company CEO, David Helfgott, believes, “The New Space economy is dependent upon innovation — new and creative technologies, new business models, and new kinds of alliances between traditional and nontraditional players. Phasor is headquartered in Washington DC, with a technology development subsidiary in London. Phasor’s electronically steerable antennas (ESAs) are based on patented innovations in dynamic beam forming technologies and system architecture. 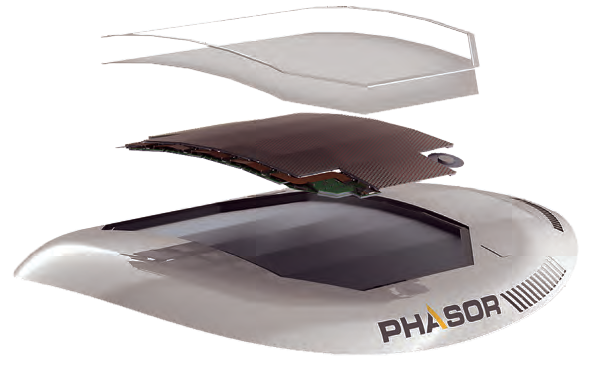 Phasor’s mission is to enable high-speed broadband communications while in-flight, at sea or traveling over land. Any surface can be the base for a built-in antenna, thanks to the ESA’s very low profile and conformational capabilities. For multiple use cases and markets, those multi-megabit demands for connectivity can be met, as the Phasor antenna can cover the required area without drag, weight or visual impact. Just recently, Phil Spector joined the firm’s Board of Directors, bringing his 30 years of experience in the satellite sector to Phasor. David Helfgoff said the company is delighted to welcome Mr. Spector to the board and his experience and leadership in the various strategic, regulatory and business aspects of SATCOM will be invaluable. Phased Arrays work by creating this pointing, or beam-steering, from an array of tiny fixed antennas. By electronically changing the relative phase for the signal that each element transmits, the (constructive and destructive) combination of all of these small signals creates a larger focused beam in a particular direction. As this process is fully electronic, the resulting beam direction can be controlled and directed instantaneously in any direction. It can, therefore, track the movement of any satellite in the sky, no matter how or where you move, without the need for any mechanical moving parts. The principal and application of Phased Arrays have been around for decades and is well understood. The challenge has been to miniaturize the technology and improve the performance while reducing the manufacturing cost to an economical price point. Phasor’s antenna systems are compact and have no moving parts. They are manufactured to withstand the vibration and thermal environment on trains, aircraft, land vehicles and ships. The lack of any moving parts means they are robust to harsh environments and can withstand failures or damage without the loss of service through built-in redundancy.